This is actually a display from Group 6. It was the first week group projects launched. The theme for this week was POP CULTURE. I thought it was so clever that they used three very distinct time periods that Britain is known for – the Mod 60s, the Punk era, the Royals, which is reflected in the decoupage of their hand-made blocks inside the cubes. The above display is from Group 2. 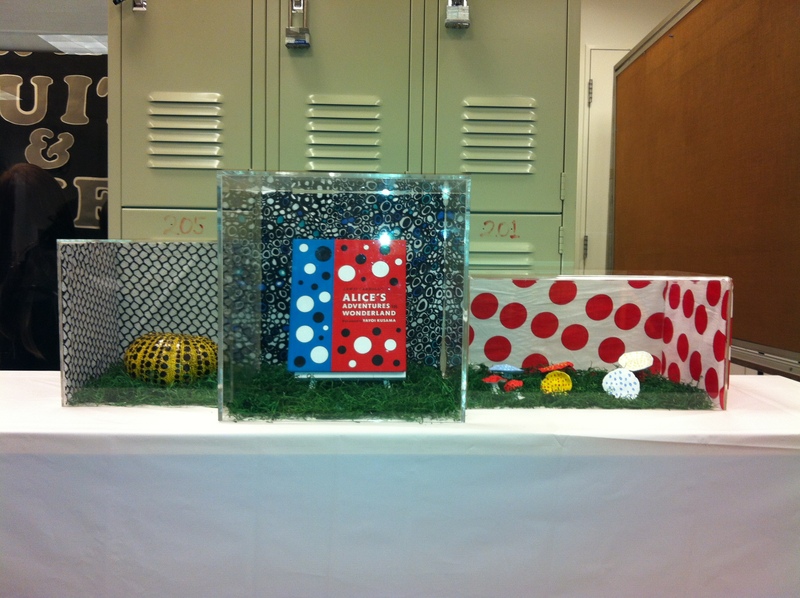 Their cube display for POP CULTURE week was inspired by the artist Yayoi Kusama as you can see in the book cover of Alice’s Adventures in Wonderland. 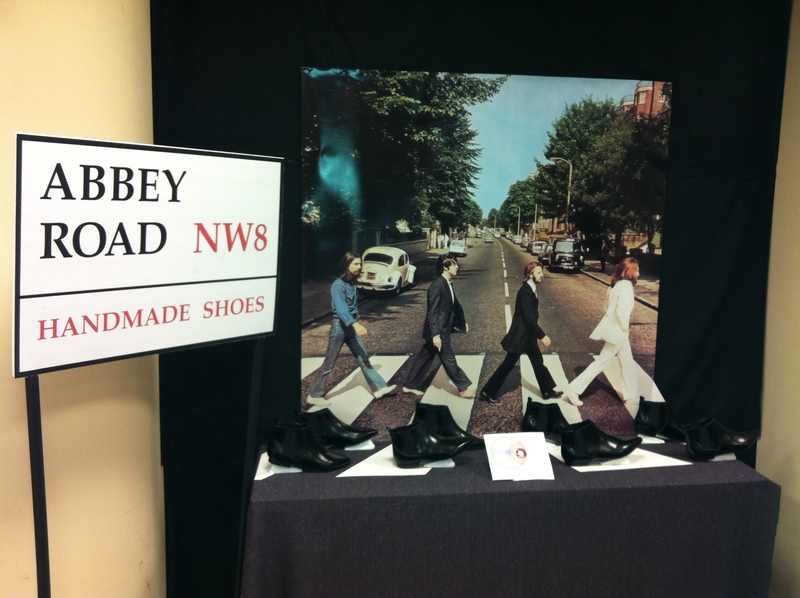 Up above, Group 4 also looked to Great Britain for inspiration in the iconic image of the Beatles crossing the street. 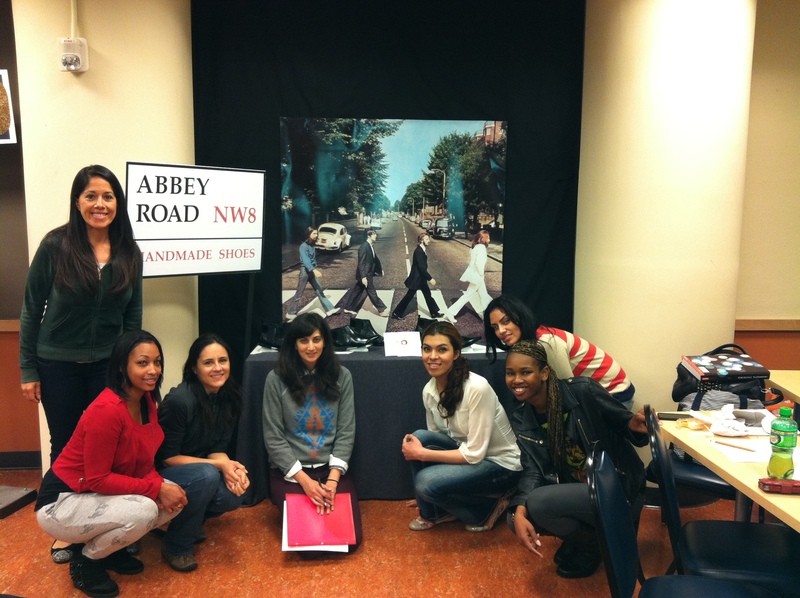 They actually continued the street on the table! Nicely done! 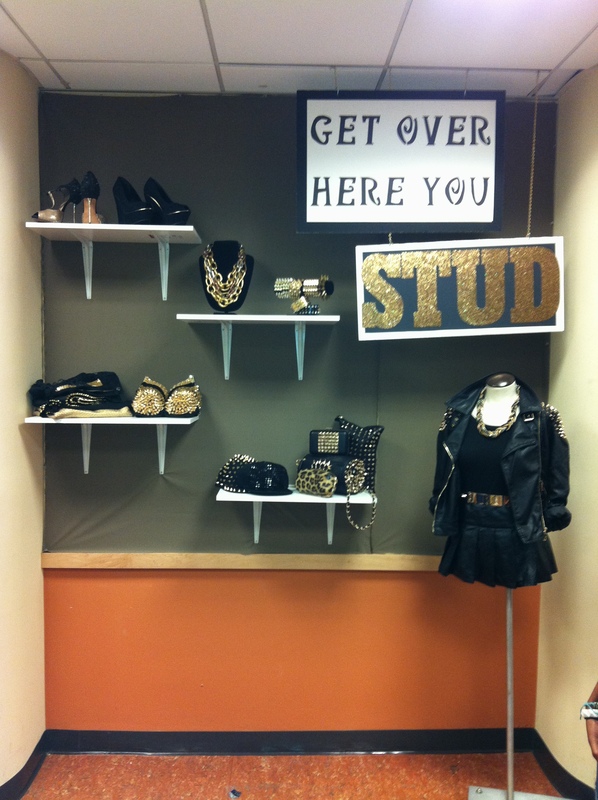 Group 1 looked to the current fashion trend of studs as their POP CULTURE inspiration! I loved everything about this display, it’s nicely balanced, clean, and they cross-merchandised. Considering all the displays shown above was everyone’s first time at doing this type of work, I must say I was impressed! Students are required to provided all materials and merchandise themselves, they get no outside help, besides each other! Is it tough to work this way? YES, but in the world of display one of the first things you must learn and really need to be is RESOURCEFUL. 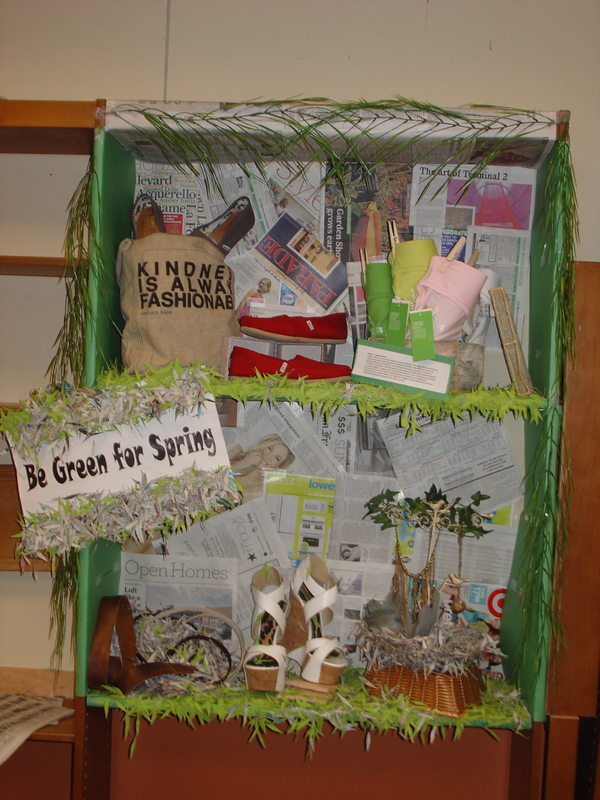 Throughout the weeks I saw many groups recycling materials and props into other displays – without me having to tell them, they automatically realized that is basically what display is all about! Stores don’t have unlimited budgets to spend on one-off props, so how do you take what’s used and make it look new again. 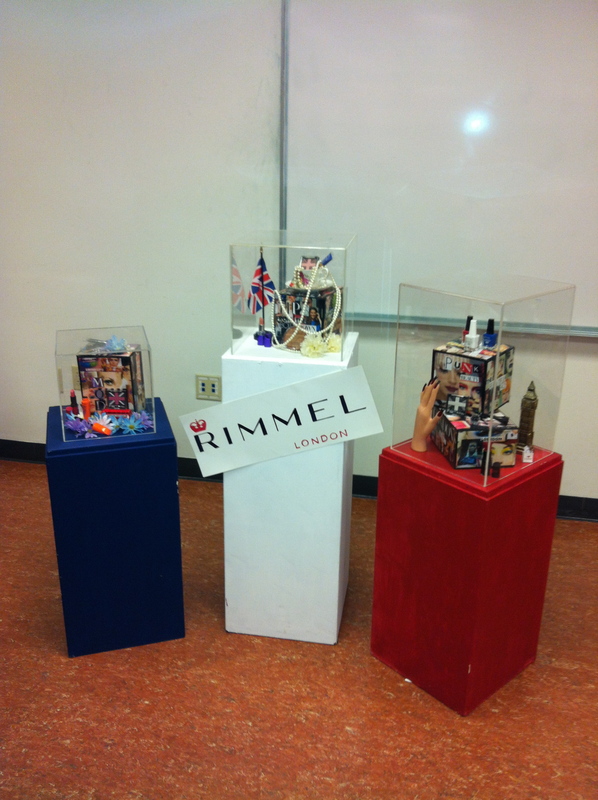 If you can do that you will have a long and prosperous career as a display artist! The number one question I get asked by students is, “how do you get a job in display doing windows?” Getting on the window crew of a major retailer is fantastic if you’re lucky enough to be at the right place at the right time, but most newbies will start out as a “trimmer” or display artist doing the in-store displays. That’s when I see the faces drop! I feel I need to explain that “doing windows” is only one part of the job, there are so many other duties that fall under the responsibility of the visual merchandiser. I love knowing that the entire look of the store falls under my domain! Perhaps when you grasp that, you won’t be so forlorn when you don’t get put on the window team right away. I actually only did windows for the small chain stores I worked for, the big department store had me doing Cosmetics, Juniors, all the Accessories, Lingerie and sometimes the Kids Dept. I really let my skills show in the Cosmetics Department! 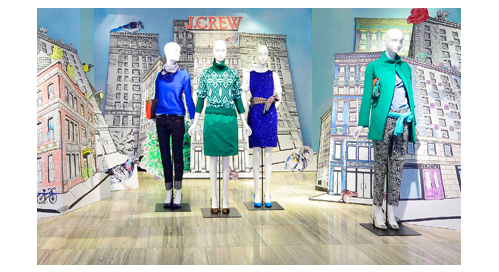 The role of the visual merchandiser is not only to make the store pretty, and dress mannequins. You also work with the buyers, do a complete floor layout of new merchandise, maintain the standards of the store, replenish merchandise when needed, and make sure all the signage in every department is correct, in addition to making sure the in-store displays and windows are clean and presentable. Oh – did I forget to mention staff meetings, and meetings with the Department Managers on the visual standards for their respective areas. While you’re running around doing all this with your feather duster, scissors, pins, hammer, and glue gun, the General Manager is wondering why sales are down. This is where you come in again. We contribute to sales too! How? 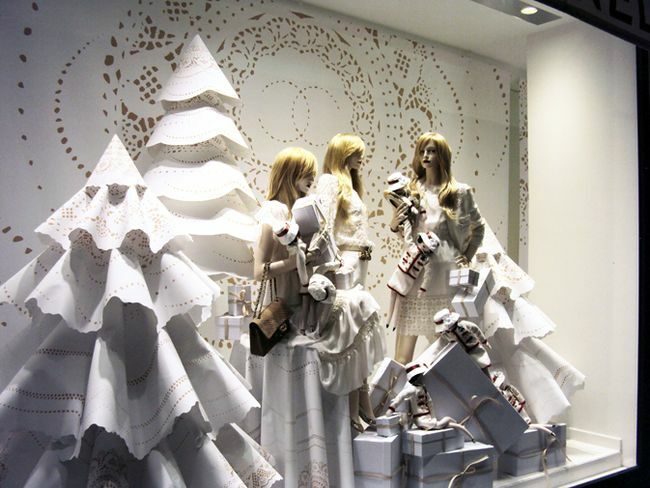 By creating displays that are so attractive people want to come into our store; in-store displays that make them want to shop, and an ambience that makes them want to stay. It is definitely our job to help increase sales, for without which, we would be out of one! Keep in mind the fashion merchandising team will take all the credit for when sales are really good ;). I’ve had a few run-ins with the sales staff, but I know my role is to be understanding, patient, dependable, and hard-working, on top of being creative. 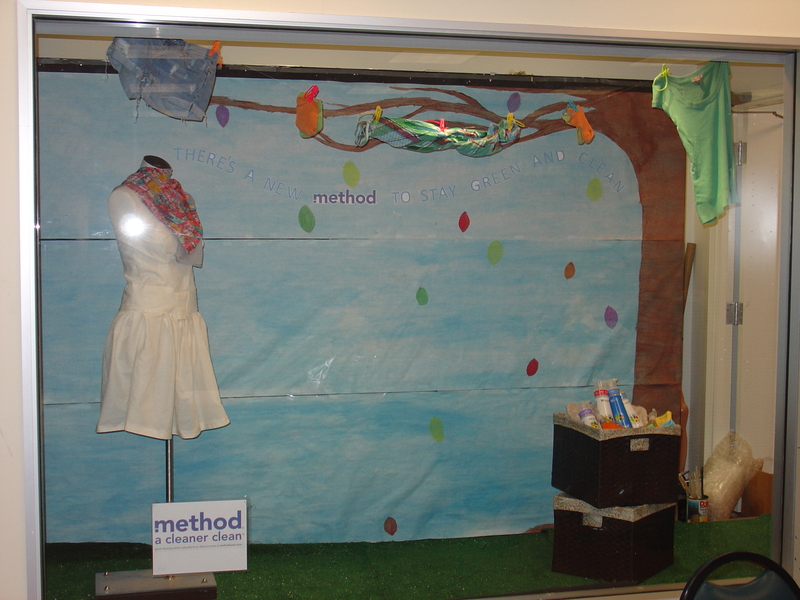 What led you to pursue a career in visual merchandising? I am a San Francisco native who studied fine art and worked at an art supply store. 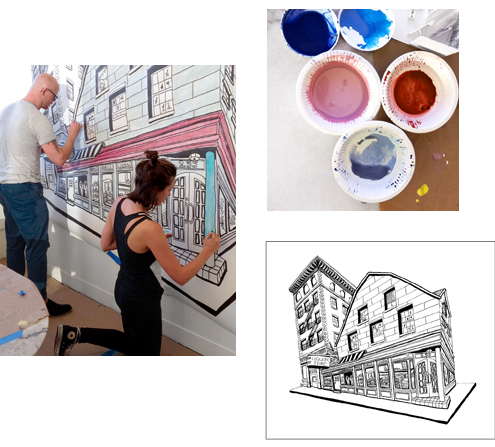 I started helping out doing visuals for the store, and building props; eventually I began freelancing for 20-30 stores in SF (various kinds of retailers). I moved to NYC without any connections, and landed a job for a kids stores across the street from Barney’s. 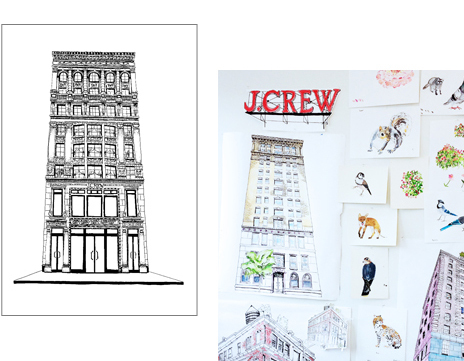 The visual merchandising manager from FAO Schwartz hired me as a freelancer, that’s where I got my real training. I then became the Creative Director for FAO Schwartz, then came back to SF to open a store for them here, which is now the location of Barney’s! I’ve done a lot of work doing store design for the Viacom brands: meeting art directors, costume designers, fashion people, makeup people. 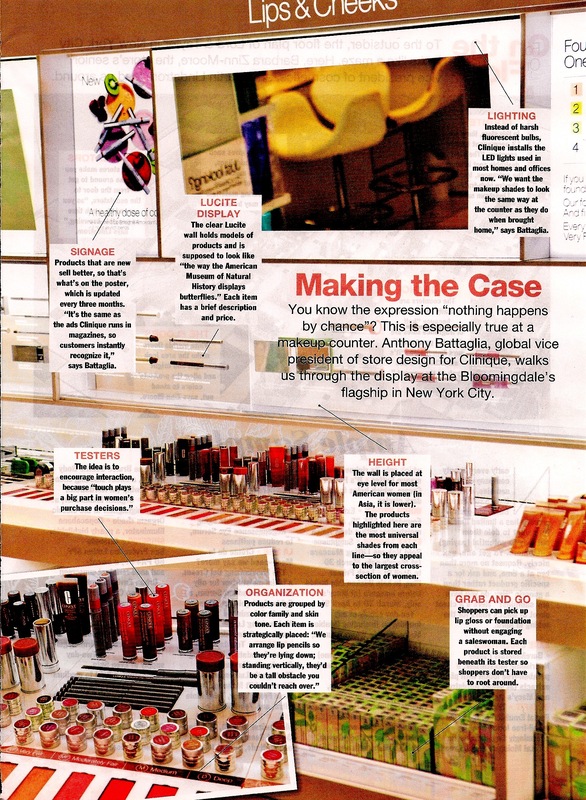 I was also the Display Director for the Discovery Stores, as well as head of retail design for Caesar’s Palace in Las Vegas. What are the primary responsibilities for your job? I look at the store from the customer’s perspective. The windows change about every 5 weeks. The interior displays change in the front more often than other displays. I have a staff of 3. We do our floor walk in the morning and maintenance checks. I have management meetings throughout the week, lots of clerical stuff, and I make inventory maps. What are your sources that you refer to for the development of your projects? What sources do you use for materials and props? The dollar store! We use materials that are fairly inexpensive and we use them magically! We reuse a lot of props, but we try not to use them in the same manner. Do you network with others at your position level within the industry, if so, how do you go about it? Lots of networking within the Barney’s store, and I’m friendly with display people in other stores. Do you ever have to work or consult with Fashion Merchandisers or the marketing team on some of your projects? We work with the fashion merchandisers a lot in doing the floor changes, depending on the floor of the store. The managers are responsible for the placement of product. 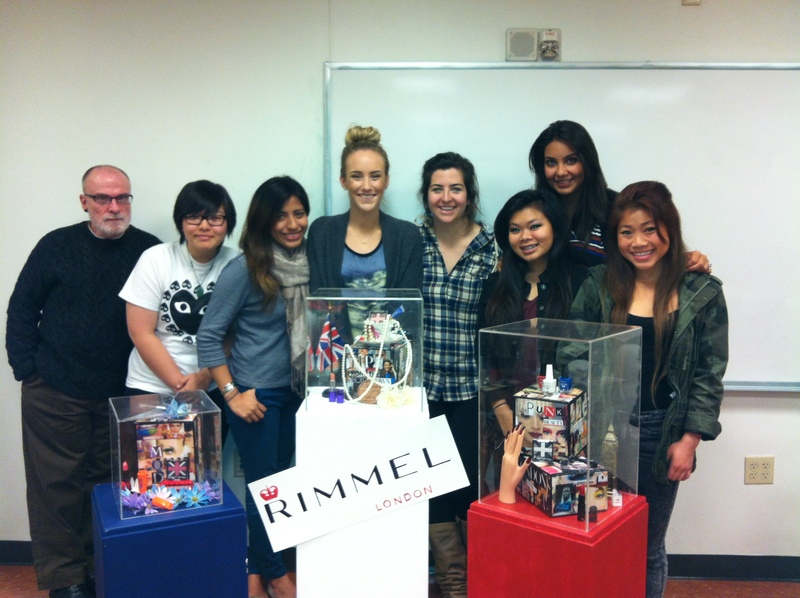 What are the education or skill requirements for a job in visual merchandising? You must like working in a store, it’s a very physical job! You have to be on a ladder, be able to lift stuff, and think on your feet. You need to research and learn about the brand you are promoting. Barney’s is a very signage heavy store – in which a lot is made in-house. What are some of the positive aspects of your job, in other words what do you enjoy the most? I love being in a creative job and thinking on my feet everyday. Every single day I enjoy going into work! I like working with other people, and I like working in teams. Managing your time and deadlines can be challenging. What advice do you have for someone wanting to get in this field? Do what you can to make yourself stand out from the others for the job. Play up what you think is appropriate for the interview. Always present a portfolio! Do as much research on the company as possible. Thanks Ken for your time and knowledge! “A good display is the result of Planning, Coordination, & Co-operation! A display person must know, in advance, when a particular display will be installed, where it will be installed, and what will be shown and promoted. He or she needs some sort of a schedule (which can be altered if need be) or, at least, a master plan. 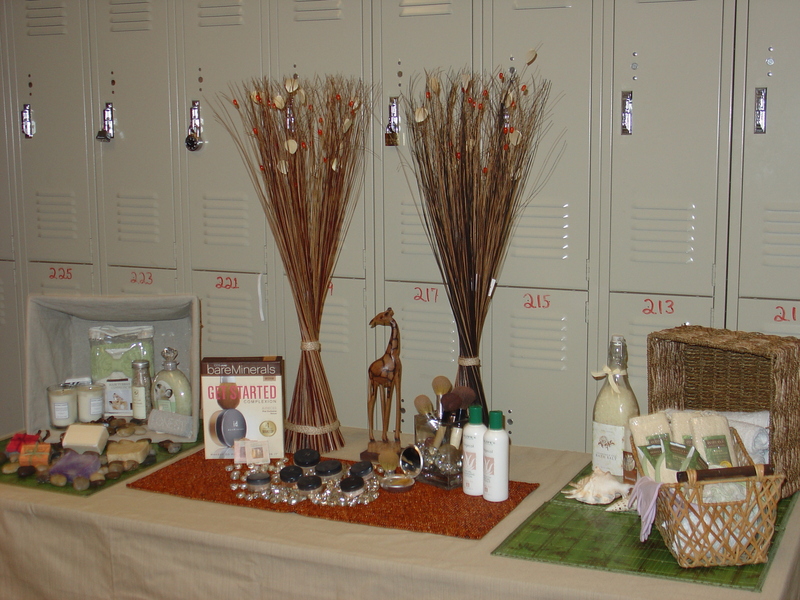 The execution of a good display comes from knowing in advance what trends, what colors, and what type of merchandise are scheduled for future display so that some though and preparation can be made for the eventual visual presentation of that new merchandise. It also requires a close working relationship with the retailer, buyer or merchandiser, marketing people, and display manufactures and vendors. 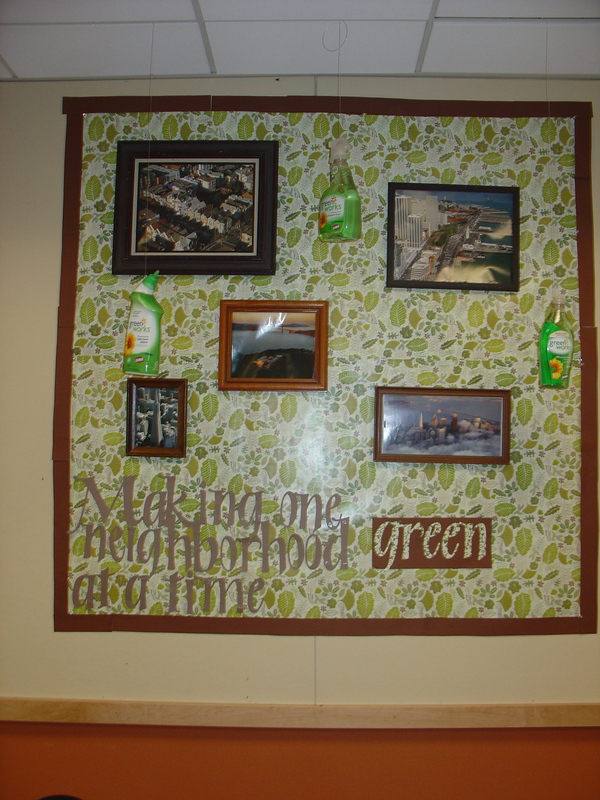 Good displays come from the display persons knowledge of what is available and where, what is in stock or in the warehouse, and what can be borrowed or “begged” from neighbors or institutions in the community. It requires an awareness of what is going on in the community, in the city, in the country, and in the world, and then being able to draw on that awareness to create attention-getting image-building, and merchandise-selling displays. Group projects are underway in class and we are off to a great start! I love this part of the semester when I don’t have to lecture as much and the students get to unleash their creativity. 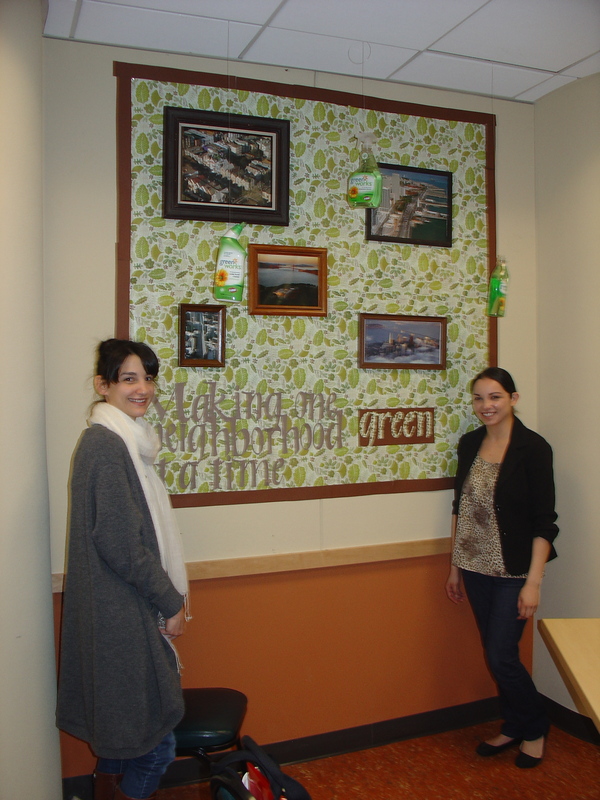 This week’s theme was “green”. Their displays had to have an eco-friendly focus. The students get to choose whatever product they wish to promote. Here are some photos from this week’s displays. The only group missing is Group 2, as the display cubes went MIA from our classroom (I’m on the hunt for them now)! Two students who are proud of their work! So how do you think my students did? Everyone in class is getting the chance to critique each others work. When I worked for Macy’s one of my favorite departments to work in was definitely cosmetics! I LOVED setting up my cosmetic displays at the end of each week, in preparation for the GWP (gift with purchase) promo for whichever company was holding one; not to mention how incredibly generous the make-up ladies were to me! They always sent a GWP my way and I used to get invited to the launch parties for the latest perfume or cosmetic item they were promoting. That is one job perk I truly miss! I would like to send a big shout out to all the ladies (and gents) that work in cosmetic retail. It looks like such a glammy job to the outsider when in actuality it can be quiet demanding! 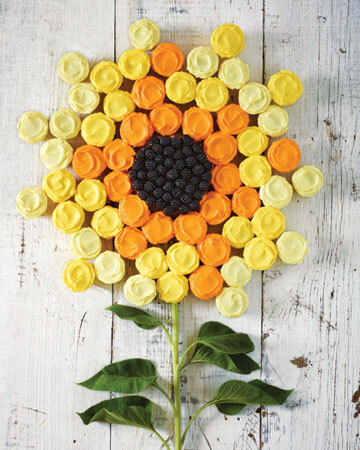 A tasty display to replicate if you don’t eat it all first! I found this on Martha Stewart.com, you can also find this photo and the recipes in the March 2011 issue of Martha Stewart Living. When food is artfully arranged like this it really entices people to indulge. I just stumbled across your blog as I was doing last-minute prep for my interview with Macy’s tomorrow for a Seasonal Visual Associate. I don’t have any formal studies, but have had some creative experiences in merchandising, floral event design, styling and photography as well was retail sales experience. Just wondering if you have any tips or input on what to expect for the first interview. Really emphasize your “hands-on” experience in the areas that you mention. Skills in styling, floral design, etc transfer over into merchandising because you have trained your eye on what looks good and creating optical balance. Explain what you learned in retail sales, I’m sure you paid attention to how the sales floor was laid out, and which areas are the prime selling areas in the store (It’s always the front). Visual Merch. 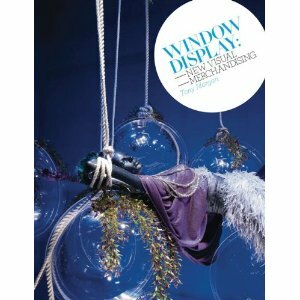 and Window Display are “artsy” hands-on jobs. You can’t be afraid to get your hands dirty or move around store fixtures when called upon. You need creativity, organizational skills, and good time management, and it doesn’t hurt to be self-motivated. This is what I tell my students and what I would look for in a potential employee. I started at Macy’s as a part-time Xmas trimmer as well. If you have a portfolio showing creative work you’ve done that’s a plus. When I applied many, many years ago 🙂 – I didn’t get the regular permanent position because of my lack of a portfolio even though I had all kinds of experience. The guy with the portfolio, who was an artist got the position over me. The manager called me up a few months later and offered me the seasonal part-time position. I took it and worked really hard to learn how they did things. I was the only seasonal trimmer they kept once the holidays was over. I heard back from J and was told she did not get the seasonal position but was contacted for an interview for a full-time position instead!! That is wonderful news and I sincerely hopes this works out, as I could tell from our email correspondence J has a real passion for this kind of work!